Daigo-ji was originally established in the 9th century, and restored in the 16th century by the hegemon Toyotomi Hideyoshi (the supreme leader of Japan at that time). It is one of the largest temples in Kyoto. This vast temple precinct is divided into the area on top of the mountain and the area at the bottom of the mountain, and contains more than 80 buildings with many National Treasures and Important Cultural Properties. The entire temple is recognized by UNESCO as a World Cultural Heritage. The Kon-do and a five-storied pagoda, In the area at the bottom of the mountain are designated as National Treasures. This five-storied pagoda is the oldest extant architectural structure in Kyoto. 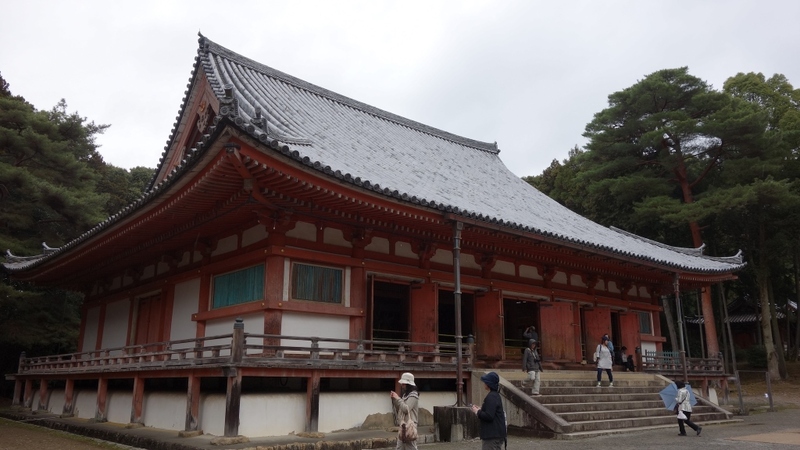 The temple has been known for its cherry blossoms since the time of Toyotomi Hideyoshi. Access : 10 munite walk from Daigo station on the Kyoto Shiei Subway Tozai Line. Daigo-ji Temple is open for special night visit to show it’s illuminated autumn colors. Visitors can enjoy a fantastic view of the red leaves and the Benten-do in the dark.